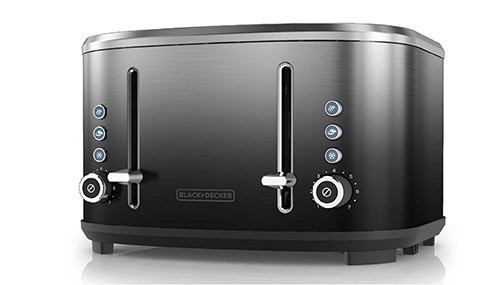 The BLACK+DECKER™ 4-Slice Toaster features extra wide slots to fit thick bagels and all types of breads. 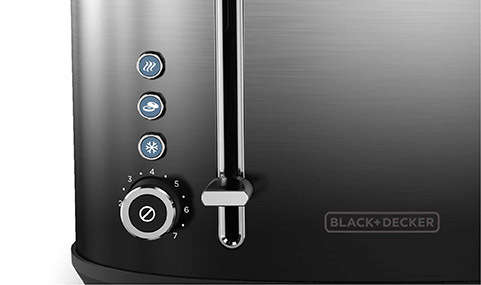 The shade selection knob ranges from 1-7, and the one-touch bagel and frozen functions adjust toasting for ideal results. Plus, the ombré styling on the stainless steel exterior will look great in your kitchen. 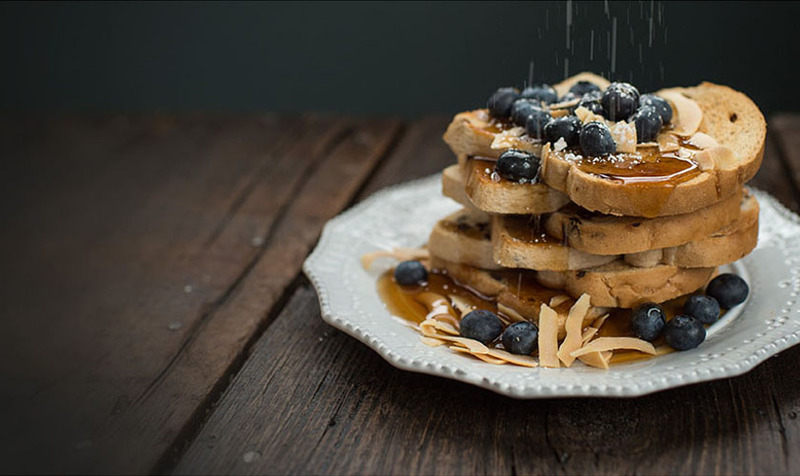 Fit bagels and large artisan breads with ease. Choose from seven toast shades with a simple knob. 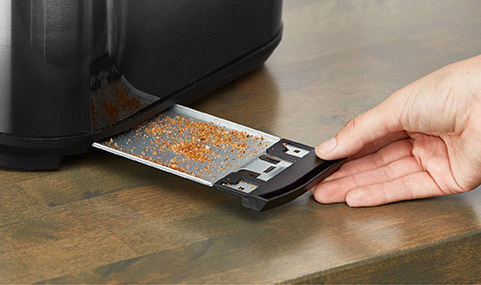 The high-lift lever puts toast safely into reach for easy removal. Easy operation for bagel, frozen, and cancel functions. Cleanup is easy and your counter stays crumb-free. The distinctive modern styling is a great addition to any kitchen. Plus, stainless steel construction for durability. 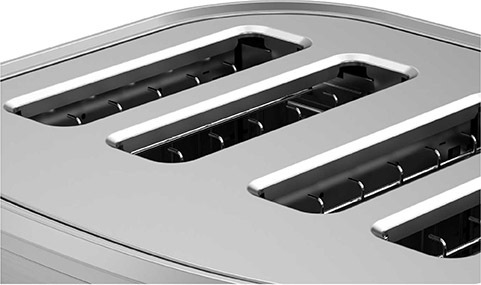 The guides adjust to any width, keeping bread in the perfect toasting position.